This year has been the year of fairy tales in both television and film. 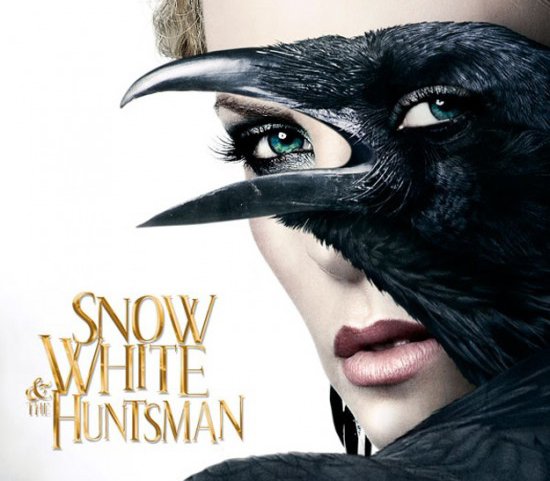 One of the most anticipated of these films opens today, Snow White & the Huntsman. The film looks to be stunning and with such gorgeous costume designs, it’s no surprise that most of the merchandise is equally as GORGEOUS. 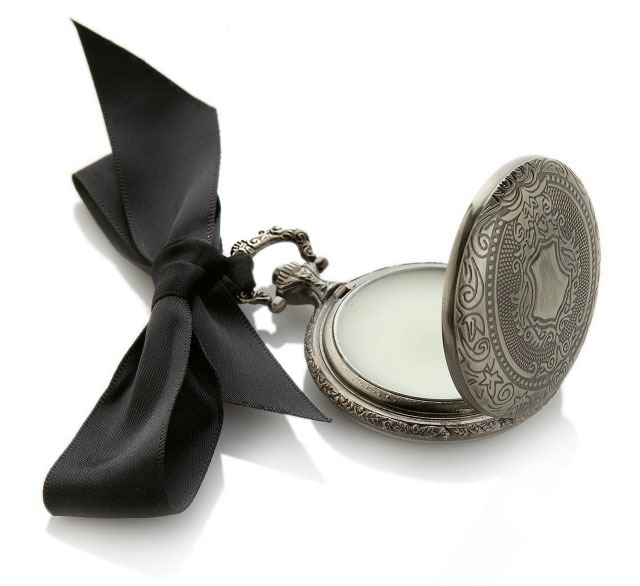 The biggest partnership with Snow White and the Huntsman has been with HSN. 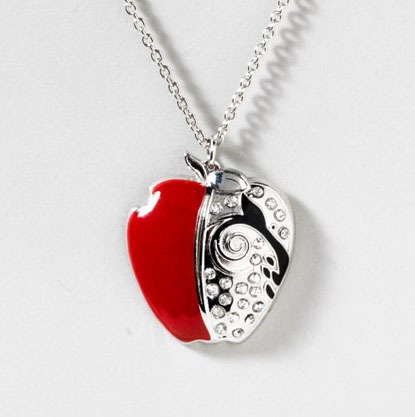 Boasting items from apparel, to jewelry, to decorative items, there’s a huge selection of items to fulfill your Snow White dreams. 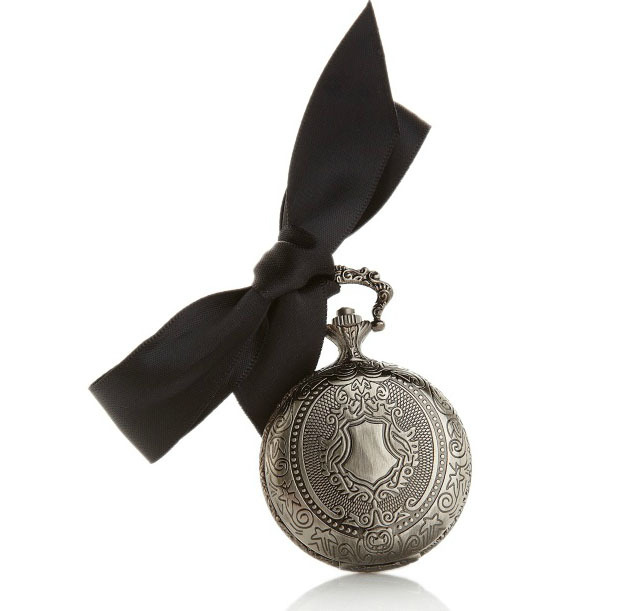 This lovely pocket watch case contains both a mirror and a jasmine scented perfume wax. 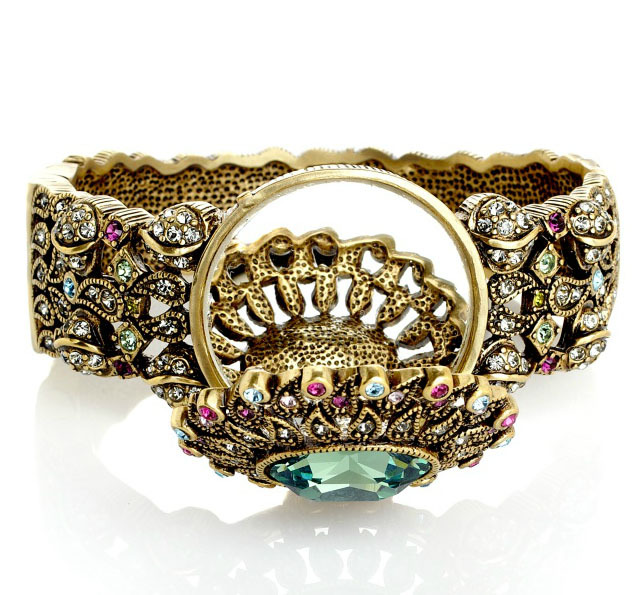 This jeweled bangle has a hidden mirror so you can see who is the fairest of them all. I loved both the color and look of this crystal-accented cuff bracelet. 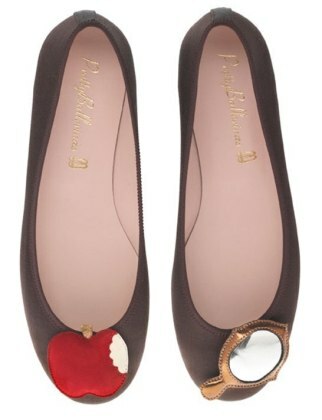 Nothing says Snow White like like the crystallized poison apple pin. 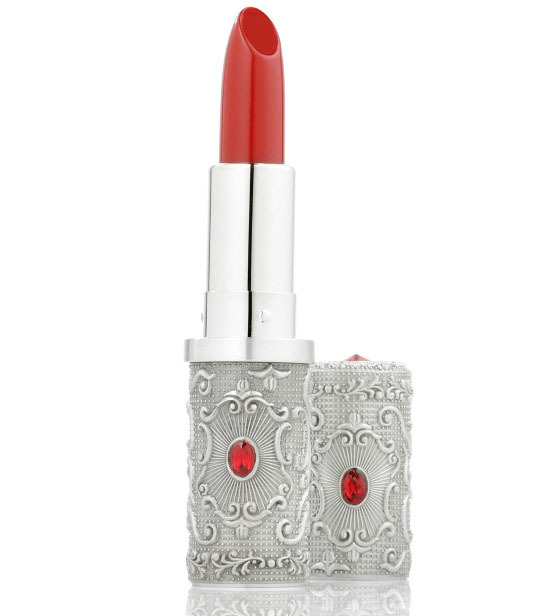 Make your lips as red as blood with this beautiful red lipstick. The case is especially stunning. These nail polish colors were paired exclusively for the Snow White & the Huntman. You can also find them at Nordstrom. 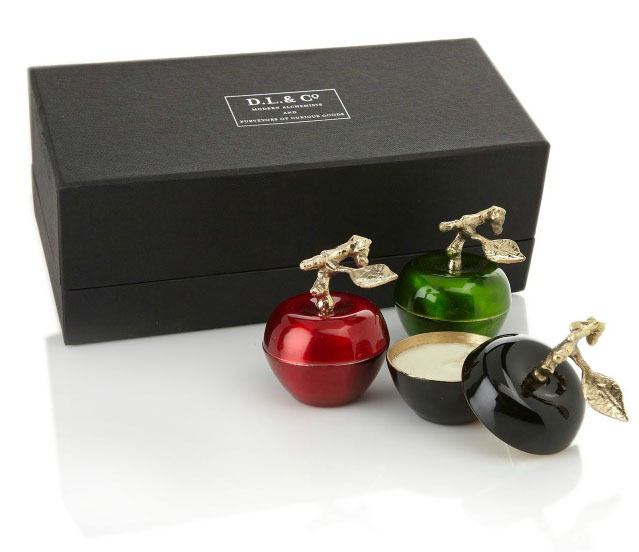 These small apple candles are adorable. 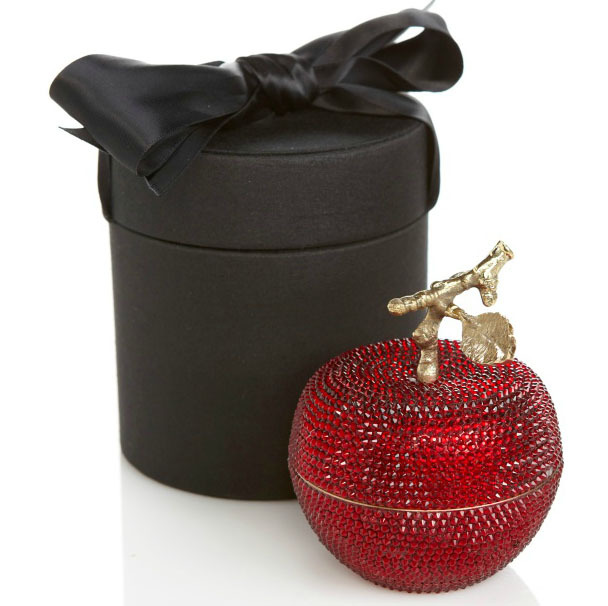 Of course, the crown jewel of this collection is this lovely Swarovski covered apple candle. 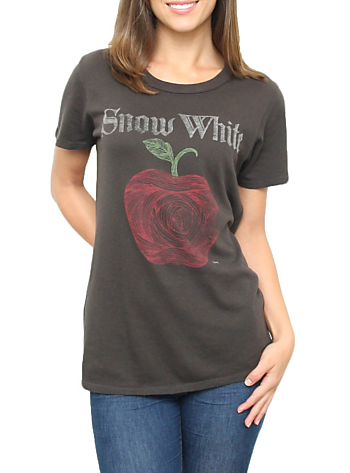 Claire’s also has a large selection of Snow White & the Huntsman items. 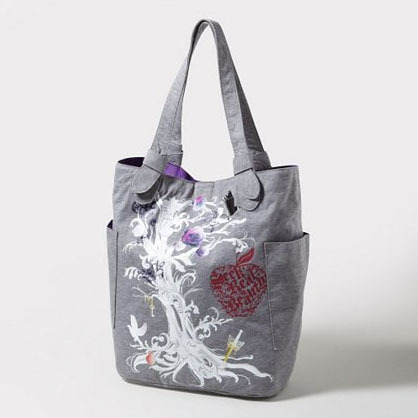 Two of my favorites are this gray tote and apple pendant necklace. 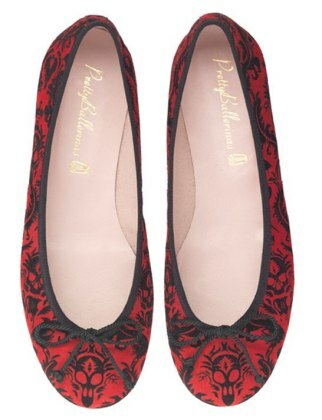 These Pretty Ballerinas shoes will be debuting sometime in June and will feature eight different designs. Here are two of the designs that have been shown so far. You can pick up this exclusive make-up palette by Diego Dalla Palma from Tesco. 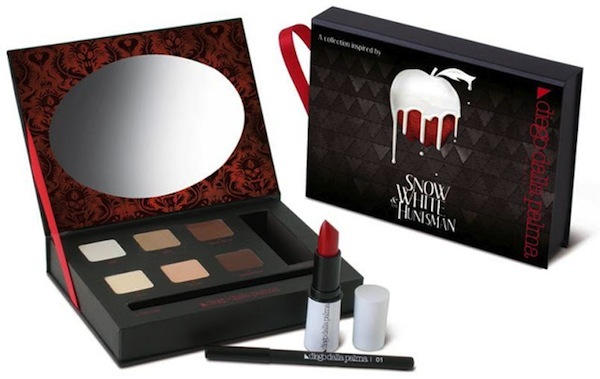 This make-up kit, featuring all the elements to make you as fair as Snow White, is available at Sephora. I especially like the case it all comes in. 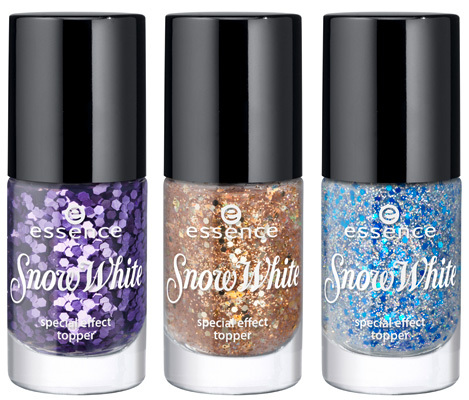 While not specifically for SWATH, these Snow White polishes by Essence will be debuting later this month. Lastly, these shirts from Junk Food Clothing are adorable and stylish. They also have a few depicting a specific Disney princess. Will any of you be seeing the film this weekend? Which is your favorite item?